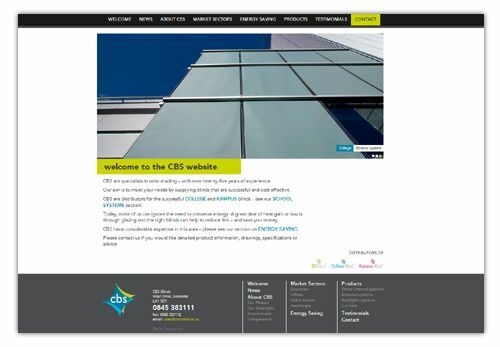 CBS Blinds have a new WordPress website. The site has been redesigned to make better use of their image library which contains a good selection of professionally taken photographs. Imagery is featured in the large header image and the image lightbox, which has the flexibility to show uncropped landscape and portrait images. WordPress gives CBS Blinds much more control over their site and now they’ll be able to add their own content including videos on blind installation.